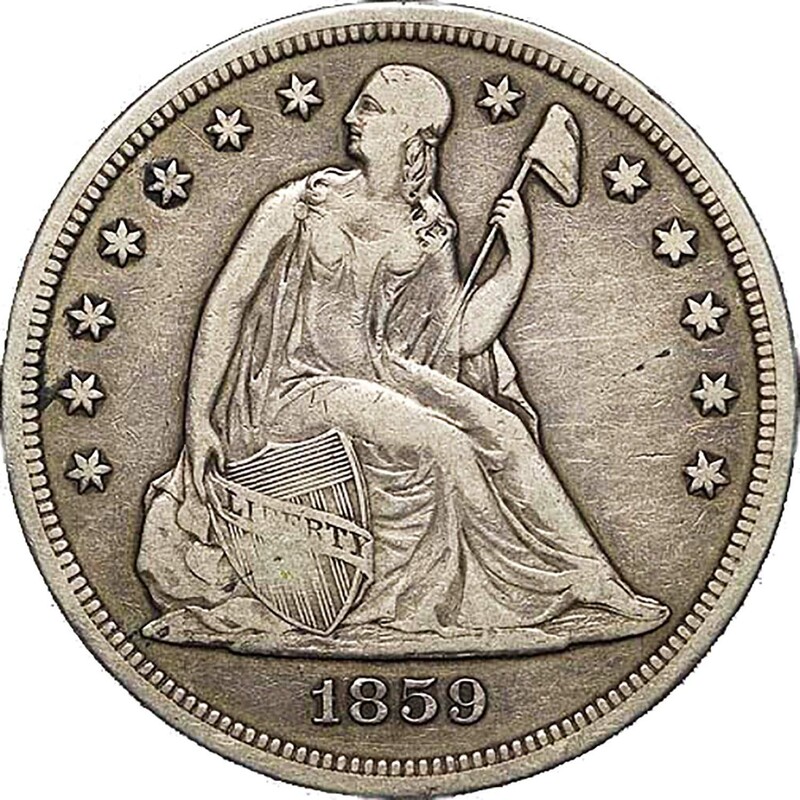 The 1859-S has long enjoyed a place of honor in the annals of Silver Dollar coinage. 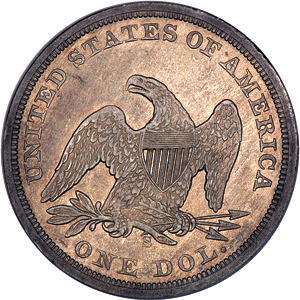 The first issue of this denomination produced at the San Francisco Mint, the '59-S is also a low mintage date that is scarce, if not rare, in all grades. The reason for Seated Dollar coinage at San Francisco is not known with certainty. Bowers suggests that the proximity of California to the Orient made the San Francisco Mint an attractive facility to bullion depositors and merchants on the West Coast. 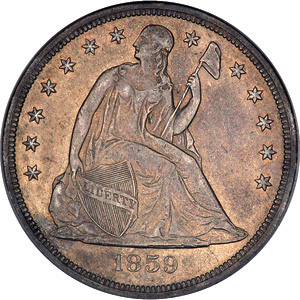 Indeed, virtually the entire mintage of 1859-S Seated Dollars is believed to have been exported at the time of issue, melting overseas claiming most of these coins. 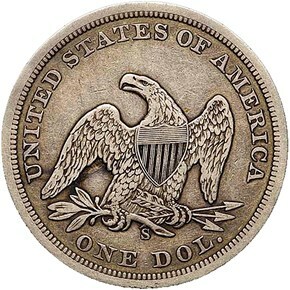 However, the San Francisco Mint did not produce any more Seated Dollars until 1870, when an unknown, but presumably limited number of coins emerged from the presses. A further 9,000 S-mint coins were delivered in 1872, followed by a mere 700 examples in 1873. It seems likely that Chinese merchants no longer accepted U.S. Silver Dollars on par with their Mexican counterparts, and, by the second year of the Civil War, the United States' export of silver had begun to move away from the Orient and toward Latin America. When the federal government authorized the heavier Trade Dollar in 1873, U.S. merchants could once again compete aggressively on the Oriental market, and the San Francisco Mint became the primary producer of that new denomination. 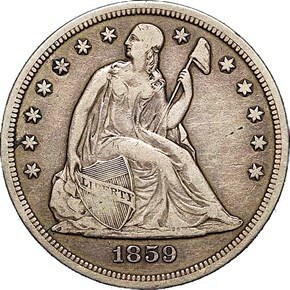 Few 1859-S Seated Dollars were set aside at the time of production, and those Mint State coins that did survive probably did so purely by chance.